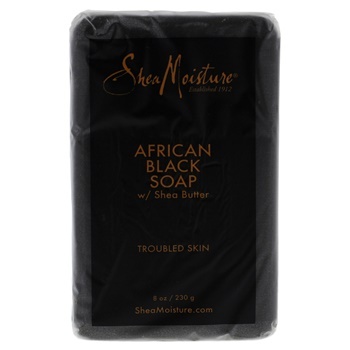 SheaMoistures African Black Soap Face & Body bar is designed to cleanse, hydrate and calm problem skin. Helps to balance oily skin for a clearer complexion. Use daily. Made with natural and certified organic ingredients.